Forum-Index → Fanmades → Spriting → Cynnamon's Fiery Sprite Shop! Hello everyone! Welcome to the Fiery Sprite Shop! Welcome to my sprite shop! This is Stencie. She represents my love for art, which makes her the shop mascot. I really am bad at introductions. I hope you enjoy browsing and do read everything if you intend on ordering, thank you friends! I have timezone friendly slots, so make sure you check the time before ordering.
! Please remember to go by PH time ! Obey the rules so that she doesn't have to warn you! 1. All Pokeheroes rules apply. 2. Only one form at a time, please. 3. Do not rush me. This means sending PMs/Palpads about when it's going to be done. I have a job and a schedule and sometimes, I just don't wanna sprite. 4. You must give me credit if you use my sprites. Art Theft is rude, okay. 5. Metallics, musical Pokemon, sparkles, citruses, mints, neapolitans, peppermonts, cardmon and canvas' are things I came up with, so if you want to use them in your shop, that is fine. However, I'd appreciate it if you asked permission first. 6. X and Y Pokemon are currently available. 7. 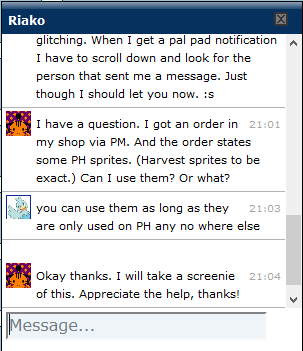 Do not order Holiday sprites, (including Birthday related stuff). I have my reasons for this. Thank you for respecting this rule. 9. Do not post a form if the slots are full. I have x amount of slots for a reason and I really don't like having to be the only one paying attention when you, as the customer, should check yourself. 10. My sprites are free. You are not required to pay, but tips are appreciated. 11. If the requested Pokemon has a gender difference or a form difference, then please verify which one you want. I.e. male Pikachu's have rectangle tails, female Pikachu's have heart tails. If you do not specify, I will use the male by default. 12. Example sprites are not free to use unless the sprite was specifically made for you. Sometimes I use past commissions for the examples. I am the artist, therefore I am allowed to do this. 13. If you aren't satisfied with a sprite, then please PM/palpad me and ask me to change it. I really want everyone to be satisfied with what they order, so please don't hesitate to shoot me a a message. Free sprites don't mean bad quality. 14. I have the right to use any of my sprites. If I want to use what I make as an example, I will. You can still use them of course, but I have the right to use them as an example. I made them, after all. 15. If you want the Pokemon to be shiny, go ahead and include it in the form. 16. Asking for specific things in your form is fine, as long as it's not too crazy. ✓ Can you make the Pokemon smile rather than frown? X Can it be wearing a scarf? 17. Thanks to leparagon @dA, I can use Alolan Pokemon now! Also thanks to leparagon, I can also do the 8th Gen starters. Only the first stages are available at the moment! 18. Please be specific with your order so I don't get confused. It happens a lot, mercy please. 19. If you include a custom Pokemon/trainer made by another user, make sure that they are okay with me editing their sprite. Show proof of their permission, please. Just because someone made it for you doesn't mean that it's yours alone. Respect other artists! 20. If you want multiple sprite options, such as a gijinka and then a party with said gijinka as the trainer, I can do that. Just order one thing, and then include it in your next form. 21. If I have to question something about your form, I'll leave a slot unavailable for a day so you have the chance to fix it. Unavailable means that the slot is still taken and not up for grabs until the form is fixed, or the time limit has expired. 22. Don't copy other users' forms. That's incredibly lazy and disrespectful to me, as I have already laid out the forms in this post. Feel perfectly free to ask me a question about a rule or two. Not everyone thinks on the same page, and not everyone speaks English fluently, so I'd understand. I'm a bit of a loner, so I'm not really looking for anyone to collab with. I've tried it before, and it's just not my thing. I appreciate you all wanting to help, but I don't need any unfortunately. But if you make your own shop, best wishes! This is the proof of me asking. You can only use PH sprites that I edit on PH. Do not use it on any other sites- nor save it on a site such as Photobucket. If you break this rule, we will both get in trouble. So do NOT use it anywhere other than PH. I cannot stress this enough! I for one save them in locked folders so that I won't be breaking the rules. It wants to keep the doctor away, Cynda! It looks like another, Cynda! It looks like candy, Cynda! It's part of a deck, Cynda! They fell in love, Cynda! The nostalgia is real, Cynda! Pokemon: If you pick a Pokemon from Gens 1/2, then I will devamp it using its Gen 5th sprite. I think I found a shiny, Cynda! I think it has PokeRus, Cynda! It's burning from the inside, Cynda! It got splashed with ink, Cynda! There's so much disorder, Cynda! It's in Dream Land now, Cynda! It's missing its lines, Cynda! Only 3 days left, Cynda! All that is gold actually does glitter, Cynda! It's good enough to eat, Cynda! Pupupu, it's execution time, Cynda! It wants to dance, Cynda! It wants some ice cream, Cynda! I drew it on paper, Cynda! Look at my team, Cynda! It's minty fresh now, Cynda! I got it published, Cynda! Look at my charm, Cynda! It's losing all control, Cynda! It went over the rainbow, Cynda! I think it made it to the end of the rainbow, Cynda! It wants to keep up with the times, Cynda! It needs a Burn Heal, Cynda! I can't catch up with it, Cynda! It's missing its shades, Cynda! Is it shiny or not, Cynda!? It escaped into the digital world along with Kevin Flynn, Cynda! I won a trophy, Cynda! It's a night owl, Cynda! The light is seeping in, Cynda! DO NOT just check this for feeding drama. I will not have drama over those who are warned/banned. It's simply to remind me of who is marked. Each warned gets 3 X's, and then they are banned permanently. I will ban over more serious issues, like trolling, insulting/bullying or extreme profanity. ~Ice_of_the_wolf~ [X] - Posting when the shop is closed. Wanna advertise? Here are the codes! If you advertise, you must use the full code. Feel free to shorten links, but other than that, do not alter it. Thank you! If you would like me to advertise your shop, shoot me a message. 2,063,000 in the tip jar so far! (I lost what I had, so I guess I'll have to start collections over again. Can I make a request please? My Pokemon fell in love Cynda! My Pokemon wants to sing Cynda! Me when I see idiocy. Who is your true family...? My Pokemon ended up like Hurry Cynda! Other: Your sprites are awesome! And I'll tip you 10k. I tried. xD Edit the password out please. Look at my team Cynda! /)o(\ Thanks! dsfdffdg ;w; Edit the password out please. My Pokemon is terrifying Cynda! My Pokemon is flashing Cynda! Other: I'll tip 10k again. Omw, the two Celebi are adorable together. ;w; I hope you like the hearts I made. `x3 Edit the password out please. Omw, thank you so much. *^* I had fun with this one. :0 Albeit, I'm bias with Gijinkas since they're my favorite kind of sprite to make. Edit the password out of your post please. My Pokemon is missing its line Cynda! 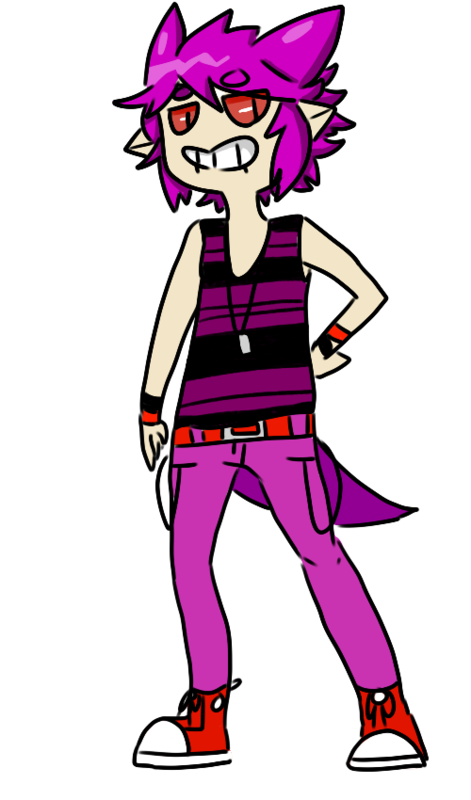 My Pokemon fused together Cynda!